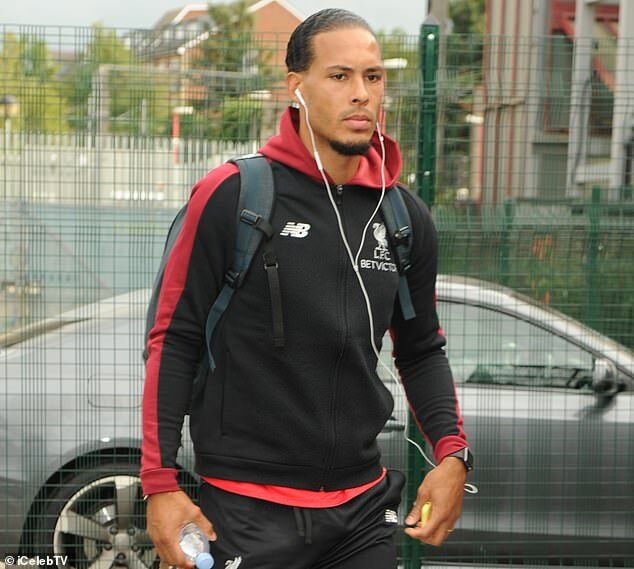 Liverpool traveled down to London on Friday evening ahead of returning to Premier League action against Tottenham on Saturday lunchtime. Jurgen Klopp‘s side come out of the international break sitting pretty at the top of the table after a perfect start to the 2018-19 season. 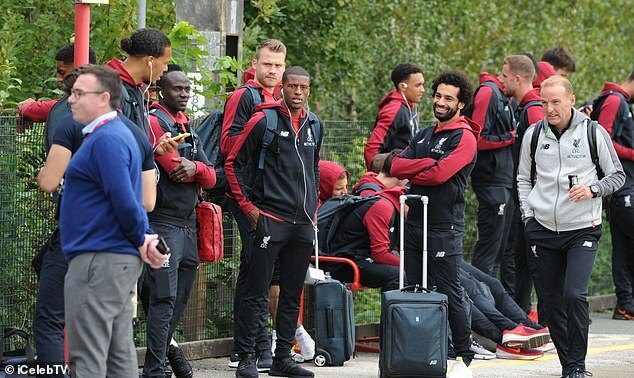 But a trip to Wembley this weekend represents their biggest test of the campaign so far, with the visit of PSG in the Champions League lying in wait next week. 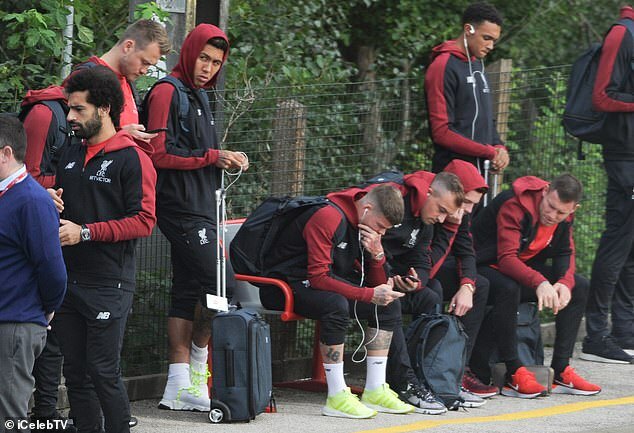 Klopp, Mohamed Salah, Virgil van Dijk and the rest of Liverpool’s star-studded squad were snapped at Runcorn station as they waited for a train down to the capital. 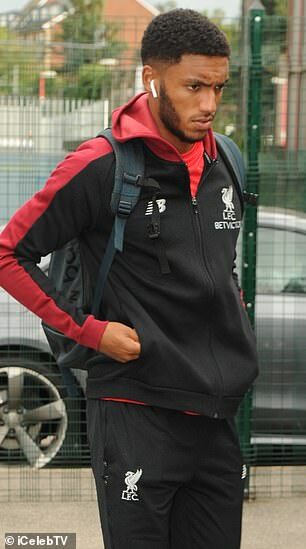 Brazilian midfielder Fabinho, still waiting for his debut after his £44m move from Monaco in May, was part of the squad making the journey south. 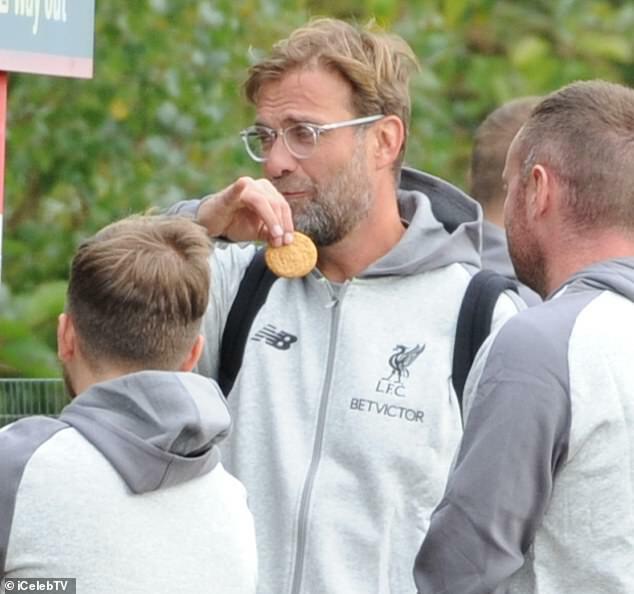 Klopp, munching on a biscuit on the platform, earlier hit back at comments from Gary Neville in his press-conference. 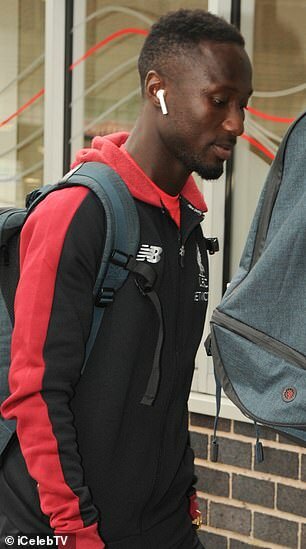 The Sky Sports pundit had suggested this week that the Reds should ignore European competition and focus on winning the league. The German was left baffled by the former Manchester United defender’s assessment and said: ‘It’s a bit silly sitting in an office talking about football, it’s different to doing the job. ‘How would that work? We don’t play Champions League or what? ‘Gary should come over and tell me exactly how that works. How do you prepare for a game when you don’t focus on it? I don’t understand, do we play our kids or what? ‘I don’t know what he means with that, to be honest. We have to play football. A lot of people watch our games when we play Champions League and that’s our job that we do the best we can do in all these games. ‘That’s what we try. I don’t know exactly what it means but to focus on one competition can only be if maybe you are already out of the competition nearly. Last year Liverpool reached the final of the Champions League, where they were beaten by Real Madrid in Kiev, but had already found themselves well off the pace in the title race as Manchester City surged to 100 points.